So, what’s on your “Go To” list? Those things that you think you can’t live without and the things that completely consume your thoughts, either in worry or pleasure? The things that you spend your money on and trick you into thinking their possession will satisfy your craving? The friends that allow you to fit like a glove and help you to blend in with the wallpaper regardless of their influence? The higher step on the ladder of success at all cost and maybe at someone else’s expense? All these things can make our world “Go Round” yet subtly consume our energy levels leaving us completely exhausted both physically and spiritually. When they become our passion they become our pride and our god! Remember pride comes before a fall so take care to stay balanced in all the good things of life. Practice the balancing act by beginning your day with God and letting Him in on your thoughts and plans. He already knows what they are so let Him help you with that. Be challenged to go deeper with Him in your faith walk! Give it all over and find that precious peace that results in letting go! Something that I have to be careful of is computer time. It can be all consuming! 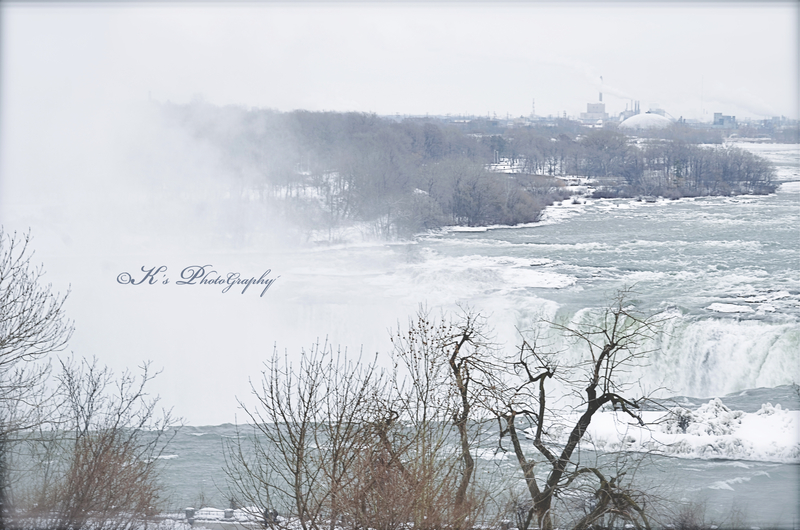 Like the photo, makes me think of the times I had at Niagra Falls. Yes Patricia, it’s so subtle how “things” and they can be good things, creep in and consume us and our time.